East Middle School students arrived on Tuesday, October 10 to see multiple police cars in the parking lot and officers around the campus. The previous night, two eighth graders shared an exchange via Snapchat, in which one sent a threatening message. The student, while not threatening a specific individual, did convey a message that could have made anyone uneasy. Amidst the graphic details and profanity, there was a reference to “shooting ‘em up all by myself,” and “well now you know the consequences of being a popular kid. After the exchange was sent out to more than 40 people, a parent reported the message’s content to the Grand Traverse County Sheriff’s Department. The result was the police presence Tuesday morning. 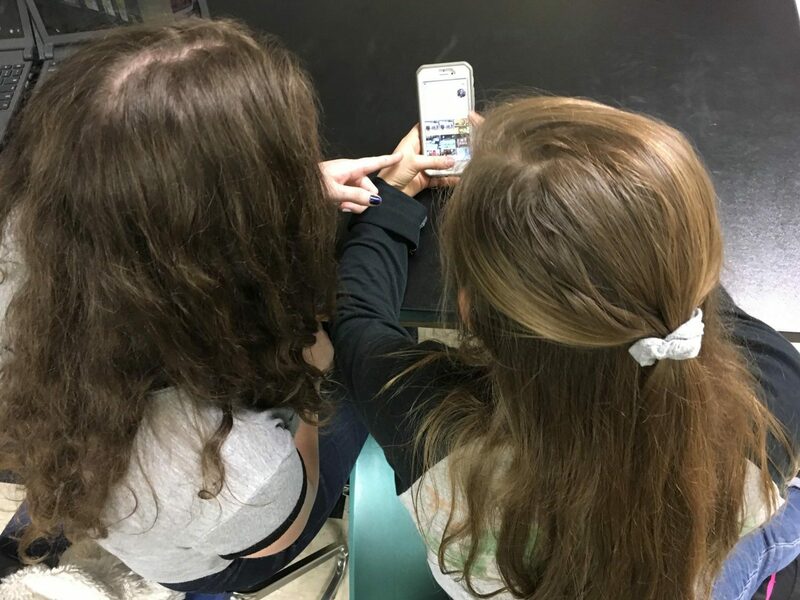 As officials arrived at East, their goal was to ensure students were safe, and locate and interview the students who originated the Snapchat exchange. “Even though in this case there wasn’t a targeted threat, what we did that morning what we would do with any instance like this – immediately upon receiving knowledge, we make contact with the person or student, whether they’re at home or school, and question them about the threats,” Capt. Randy Fewless of the GTCSD, said. Although the potential threats were allegedly lyrics in a rap song, it was still important for law enforcement to be brought in, to ensure safety of the students and the staff at our school. Cliche as it may be, it is 100 percent true: something posted on social media- whether you deleted it from your screen- never goes away. It’s always locked away on some computer screen, tucked away in some file, and almost always able to be accessed. In this case, the messages disappeared on one person’s screen, but appeared on another. More than a week after the fact, the prosecutor’s office determined that there was no real criminal actions on the students’ part after investigating the case further. Anything you post on your phone, or search on your school computer, it’s all traceable to you. And, if you see something that concerns you, tell an adult.